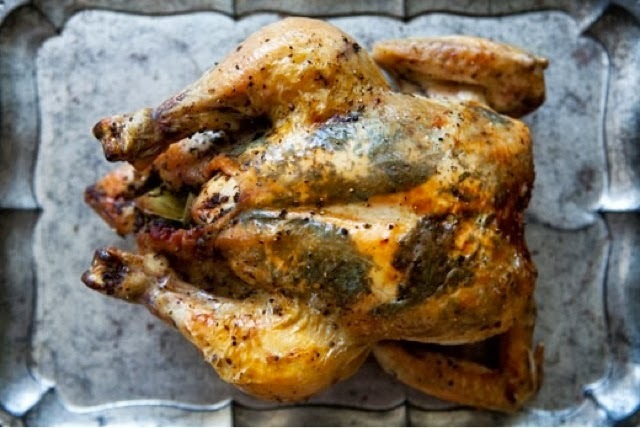 This Herbed Roasted Chicken from Simply Recipes is my go-to recipe when I want to cook a whole chicken. The skin of the chicken gets golden and crispy every time and it looks beautiful! Especially with the herbs showing through the skin. It's a show-stopper to serve and always turns out moist and juicy. And, the aroma throughout the house is divine! Thank you for a great recipe Elise!